Something fashionably exciting is coming to Sunderland...our very own fashion weekend! Running from the 21st to the 24th of April, prepare to make way for fashion shows a plenty involving many of the Bridges brands we've come to know and love. I'll be attending the launch on Thursday 21st which I'm really looking forward to-so keep it here for more news and updates over the fashion weekend. Models Zoe Waters and Joni Valadares wearing clothes from Sunderland's branch of Topshop. TOP TRENDS from leading retailers will be on show next month (April) as Sunderland’s leading shopping centre hosts its Fashion Weekend. 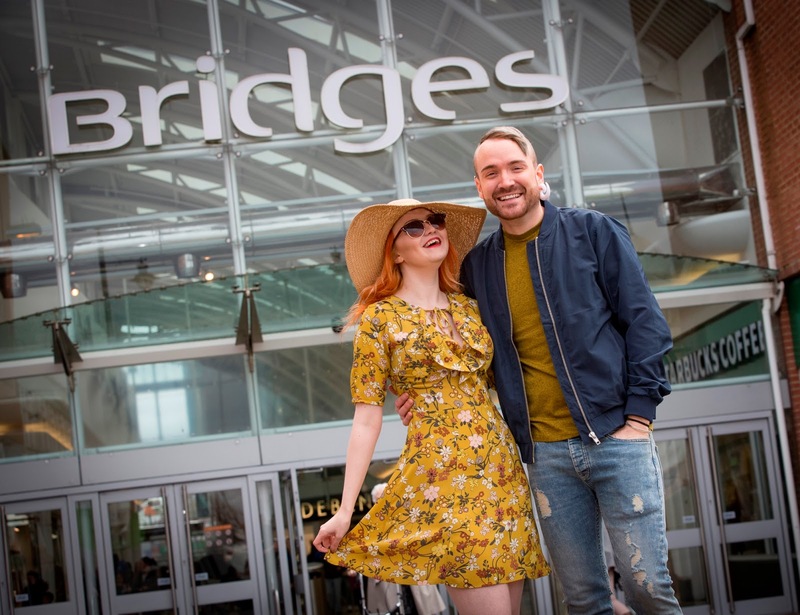 From April 21 – 24 the Bridges will be holding daily fashion shows, showcasing the exciting new looks being offered in a range of the centre’s shops. Already a whole host of major names have signed up to participate including Debenhams, Miss Selfridge, New Look, Next and Primark. Also taking part in the shows are Roman Originals, Select, Swarovksi, Topman, Topshop and TX Maxx, with the promise of others signing up to showcase their latest looks on the catwalk. “We have a wide variety of retailers at the Bridges with clothes for both men and women and for all ages,” said Andy Bradley, Centre Director. “The Fashion Weekend gives us a fantastic opportunity to showcase what we have to offer in what promises to be a number of fun and exciting shows. Daytime shows will run at various times throughout the Fashion Weekend (April 21-24). A fashion show will also feature as part of the Retail and Style Awards being held at the Bridges on Saturday April 23, in an evening which includes a black tie dinner and performances by top musical acts Lawson, Izzy Bizu and the Lake Poets.